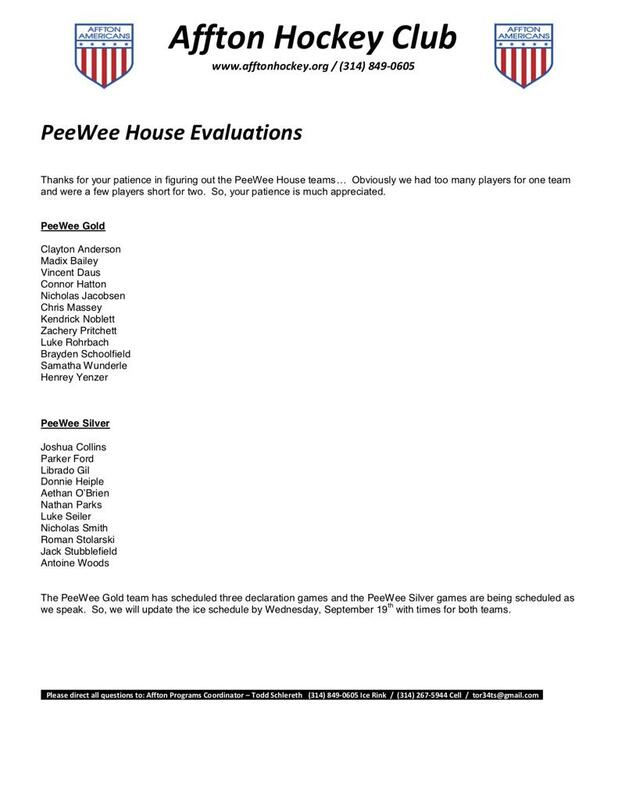 Thank you for your patience as we finalized the Pee Wee House teams. We had too many players for one team but were a few players short for two teams so extra time was required to complete the rosters. We currently are working to schedule ice times for both teams.